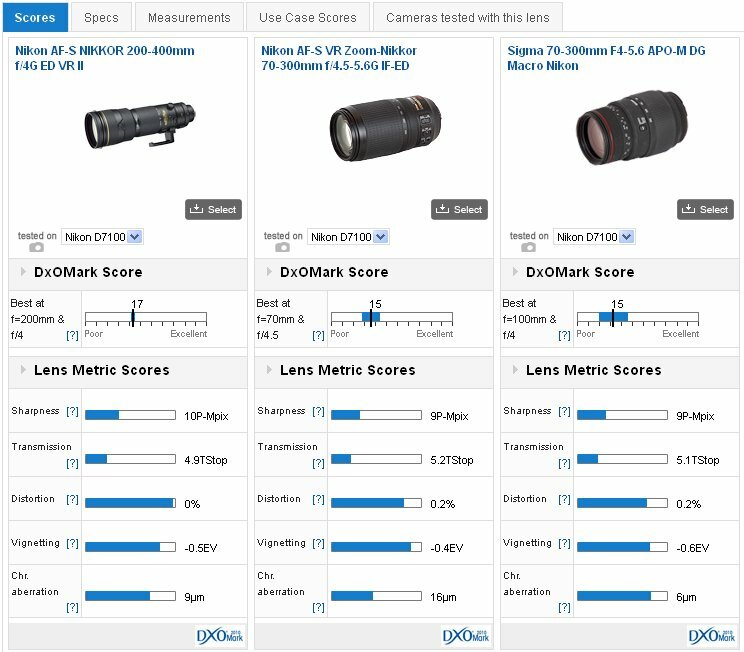 This is the third part of a four part series where we’ve analyzed the optical performance of nearly 46 telephoto primes and zooms lenses from Nikon and third-party makers. Nikon offer an extensive and highly respected range of models, as do Sigma, Tamron and Tokina. Together with the Nikon D7100 we’ve tested 11 primes telephoto between 100mm and 600mm, a further 32 zoom with a maximum focal between 135mm and 500mm ! Introduced earlier this year as the upgrade to the 16-Mpix D7000, the new Nikon D7100 has a 24-Mpix APS-C format CMOS sensor and is the first standard model for the firm to lack an anti-aliasing filter to further improve resolution. As we’ve previously revealed in part I, this sensor is capable of very high definition. In fact, with certain lenses we discovered the Nikon D7100 is capable of achieving an increase of up to 50% percent in sharpness with certain models. 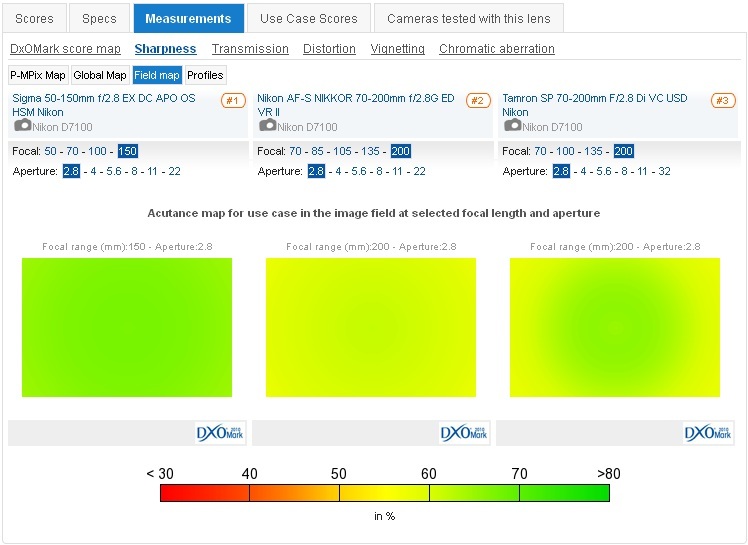 However, the sensor is just as capable of extracting definition from lesser lenses though it is dependent on the resolving power of the lens. Some will inevitably be at their resolution limit while other newer, higher grade lenses will likely have more in reserve for as yet unannounced higher resolution bodies. Commonly referred to as a ‘super zoom’, models boasting a wide range of focal lengths are appealing for their convenience, however they frequently have a moderate to slow variable maximum aperture and are inevitably compromised on optical performance in some way. 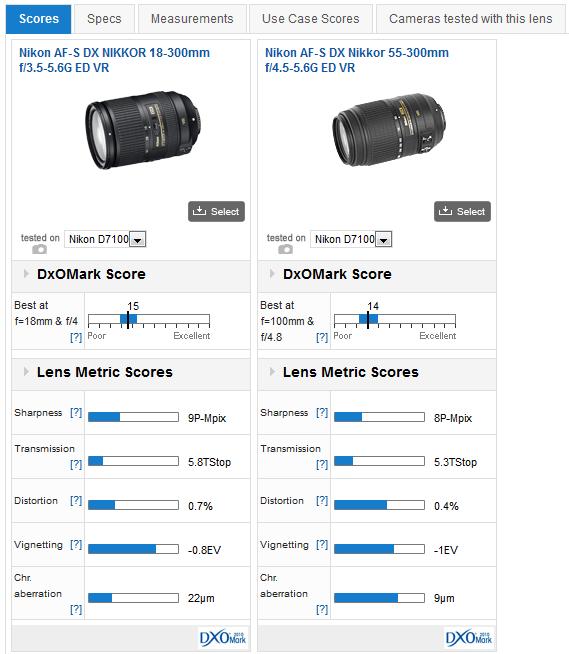 Of the 16 models tested on the D7100, with a DXOMark score of 16 points the unassuming and modestly priced AF-S Nikkor 18-135mm lens is the best performing model. This is followed closely, in joint second place, by the recently upgraded AF-S Nikkor 80-400mm and new AF-S Nikkor 18-300mm f/3.5-5.6. Although arguably the 80-400mm is not a true super zoom (it’s only a rather modest 5x optical zoom), it’s worth remembering this model is a full frame lens, the equivalent to a 120-600mm on the D7100. Even so, it has good levels of sharpness, albeit at the shorter end of the zoom range and has remarkably low levels of chromatic aberration. At $2,700 it’s not inexpensive but it may be the only telephoto lens you buy.Although twice the price of the 18-135mm, the 18-300mm is very similar performer overall and is well worth considering as an all-rounder. Our only concern is the rather high levels of chromatic aberration but, as an equivalent to a 28-450mm, it would make an ideal travel lens. One model that stands out for value is the AF-S Nikkor 55-300mm. With an overall DxOMark score of 14-points and a good sharpness score of 8P-Mpix, this 85-450mm equivalent is modestly priced at $365 and comes third in our rankings overall. A good proportion of the models this range are competitively priced. 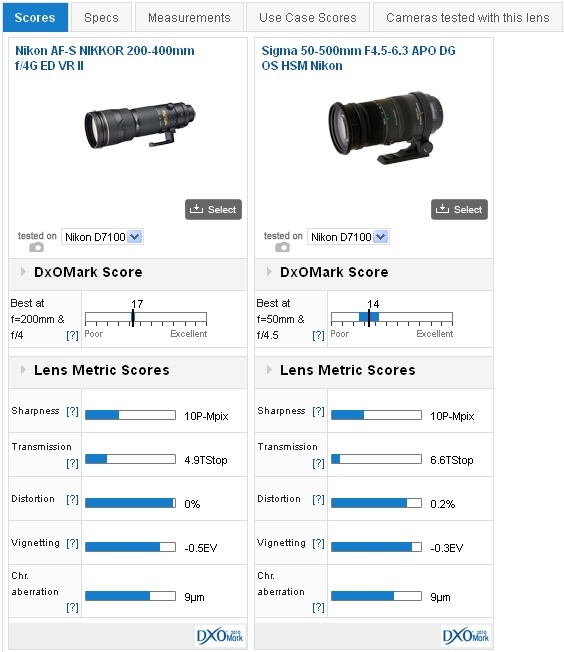 More expensive models usually have far greater zoom ranges and don’t compromise much on quality. With the new Sigma 50-150mm f/2.8 EX DC APO OS HSM Nikon mount version recently added to our database it pushes the previously ranked number one model, the AF-S Nikkor 70-200mm f/2.8 into second place. 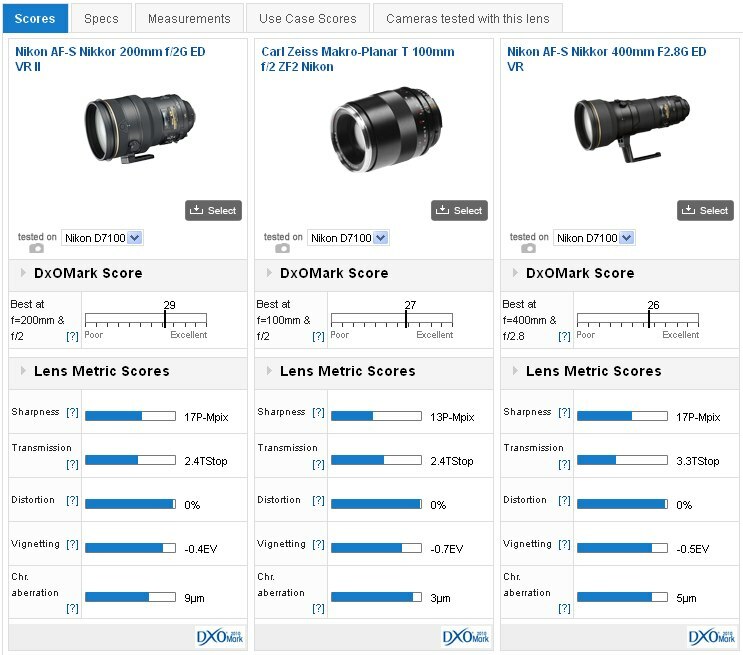 Owners of the Nikon and Tamron models shouldn’t feel dissatisfied though, as it’s very close, with all three lenses achieving a DxOMark score of 23 points. It’s worth noting the Sigma 50-150mm is a DX format lens and therefore isn’t directly comparable to the 70-200mm models. However, as the equivalent to 75-225mm f/2.8 on the D7100, it has a similar field of view over the zoom range to those models on a full-frame camera. Sigma’s shorter focal length 50-150mm upgrade achieves high optical quality but the current Nikon and Tamron 70-200mm lenses can also be used on full frame cameras. It’s also remarkable to see just how well the new Sigma model performs after its revamp. 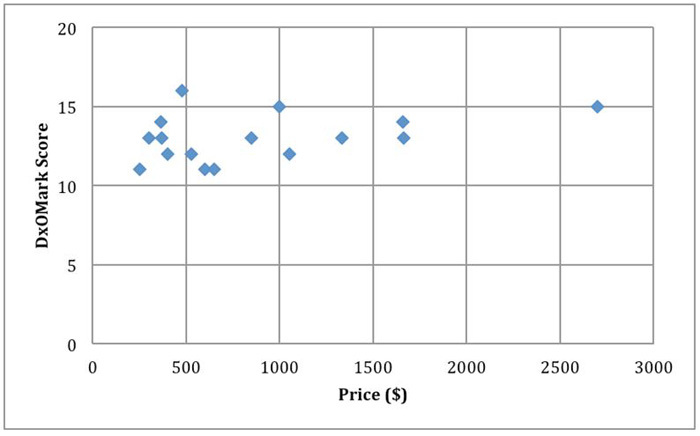 The previous iteration attained a DxOMark score of 18 points, but it was more modestly priced at $469, even if it lacked the stabilisation and IQ of the new model. As for the full-frame models, Tamron’s new 70-200mm f/2.8 stands out given the optical performance and the high spec. It’s not exactly cheap at just under $1,700 but it has both stabilisation and an ultrasonic type AF motor, and even outperforms the pricier Nikkor in sharpness at 200mm. Perhaps not surprisingly it’s the shorter focal length lenses that perform best optically, but there are still a few surprises, given the large maximum apertures of the models occupying the top three slots. In first place is the AF-S Nikkor 200mm f/2 ED VR II, which saw a revamp recently to include a Nano Crystal coat. It achieves a DxOMark score of 29 points putting it firmly ahead of the high-performing Carl Zeiss 100mm f/2.0 macro, and the $9000 AF-S Nikkor 400mm f/2.8. 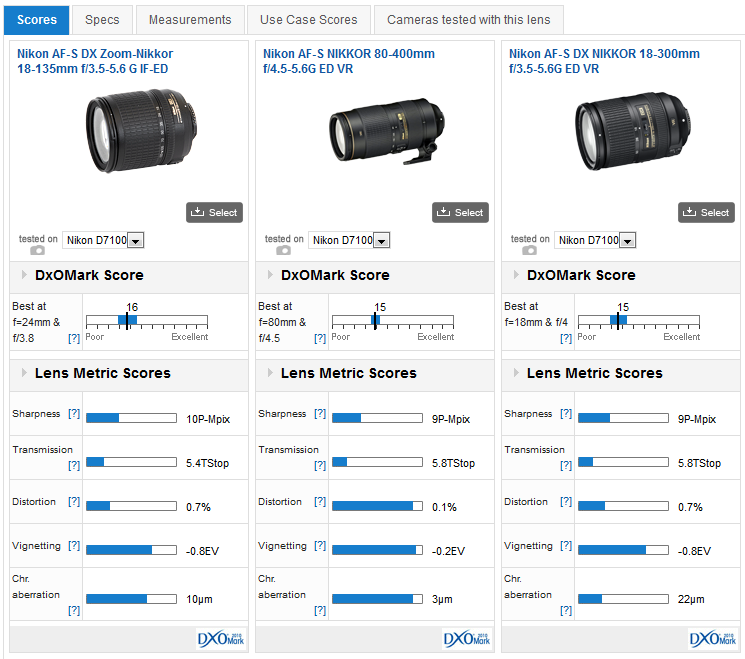 Although the Zeiss comes second overall, the two Nikkor models have similar levels of sharpness, both achieving a higher 17-P-Mpix score in our ratings. Telephoto lenses like these have a narrow field of view that reduces as the focal length increases, and are quite limited in their appeal (though that may also have something to do with their price). Lenses like this aren’t particularly flexible, and with the advance in modern lens designs likely accounts for the popularity of telephoto zooms. 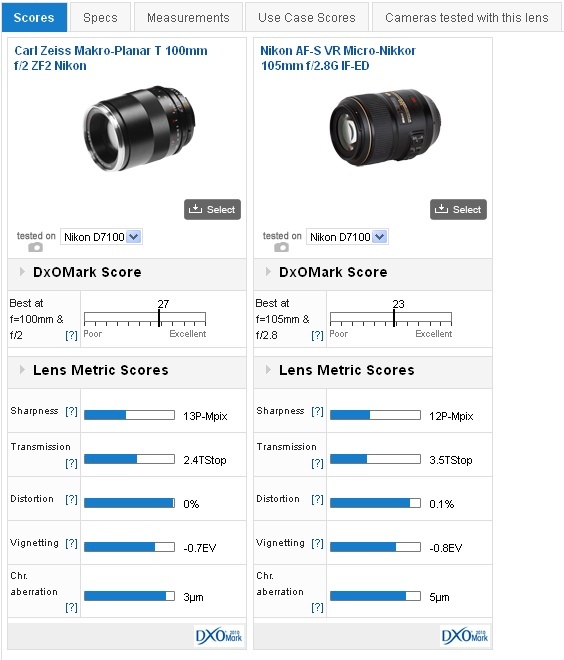 The Zeiss achieves a high DxOMark lens score because of its bright maximum aperture but the rival AF-S Nikkor is close in optical performance and has comparable levels of sharpness. Be that as it may, the shorter telephoto macro models can serve double duty as portrait lenses and are also ideal for still life photography. While the Zeiss is the best performer optically on the D7100, the AF-S VR Micro-Nikkor 105mm f/2.8 deserves a mention. Not only is it around a $1000 less, it has similar sharpness and the optical stabilisation may go someway to offset the brighter maximum aperture of the Zeiss when used hand-held for stationary subjects. As we mentioned earlier, prime telephoto lenses aren’t known as being particularly flexible; it’s not uncommon to see professionals with several long telephoto models at a single event. This, coupled with advances in optical design along with increases in performance, has seen the popularity and range of telephoto zoom models expand enormously. Examples are available for both the working professional and the general consumer, though it comes a no surprise to see the AF-S Nikkor 200-400mm f/4G ED VR II at $6,999 top our rankings. 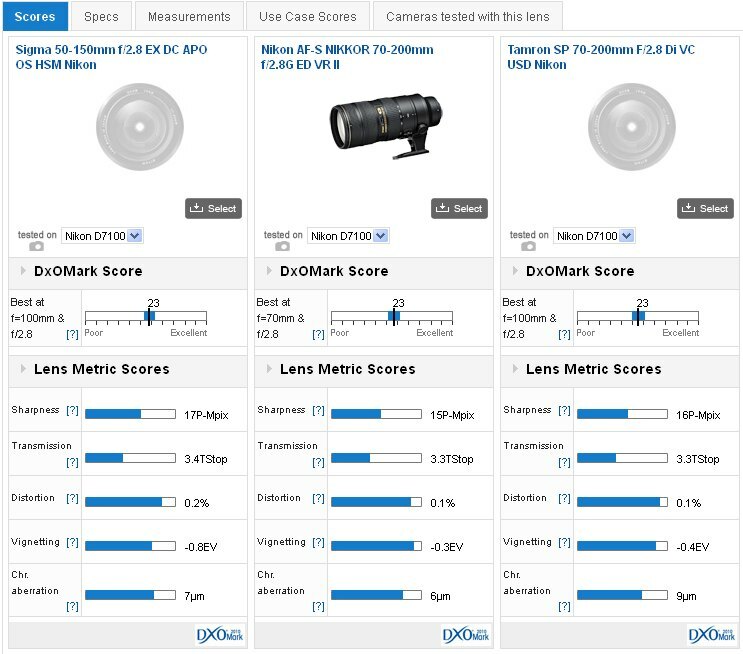 With a DxOMark score of 17 points, it comes close the optical performance of a prime lens. 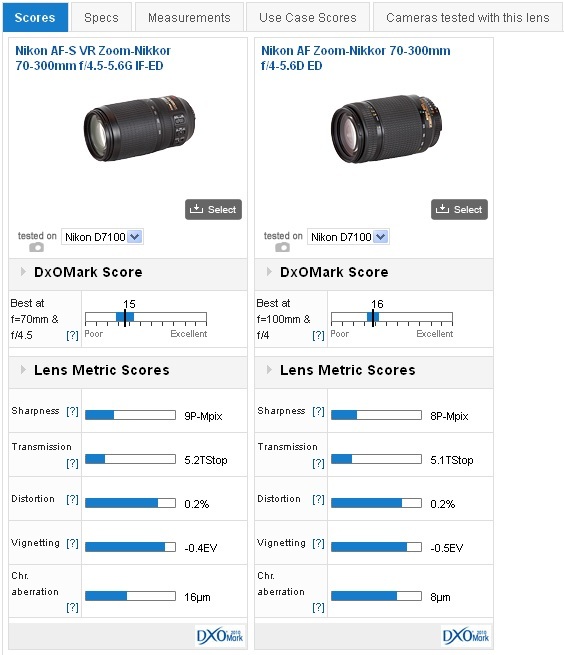 In second and third place, it is not at all surprising to see the less extreme AF-S Nikkor 70-300mm f/4.5-5.6D ED and Sigma 70-300mm F4-5.6 APO-M DG Macro models, with DxOMark scores of 16 and 15 points respectively. What is a surprise, perhaps, is the Nikkor 70-300mm lens has been superseded by the AF-S VR Zoom-Nikkor 70-300mm f/4.5-5.6G IF-ED. It’s a good performer and boasts both stabilisation and an ultrasonic type AF motor but, although it has slightly higher sharpness, it can’t quite match the overall image quality, nor the price, of its predecessor. If budget is a consideration and if the older model can still be found on dealer’s shelves, it may be worth looking at more closely. Although it has a moderate-to-slow variable aperture, the Sigma performs well and is modestly priced. A special mention must also be given to the Sigma 50-500mm f/4.5-6.3 APO OS HSM. As the equivalent to a 75-750mm on the D7100, this full-frame model is typical of modern designs and glass types. With a DxOMark score of 14 points it’s an impressive performer given the zoom range, stabilisation, ultrasonic type AF motor and accessible price. In the final part (IV) of this guide, we’ll be looking at the best performing primes and zooms covering wide-angle focal lengths. 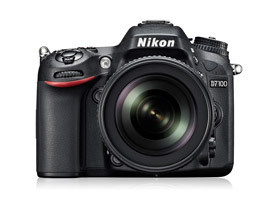 If you have a Nikon D7100 and a favorite lens, we would very much like to hear from you. Please leave a comment below, stating what lens it is and why you like it.